Pinterest is a very popular social site that allows users to share photos and videos on their pin boards. 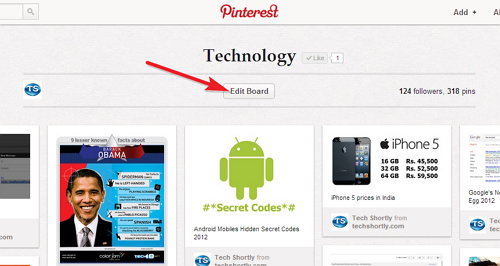 In Pinterest there is no compulsory to you only post on your boards. You can give the permission to your friends to pinon your pin boards. Then invite window shows with default message, you can also add your own message to your friend. Finally hit Send invite button. You are done. 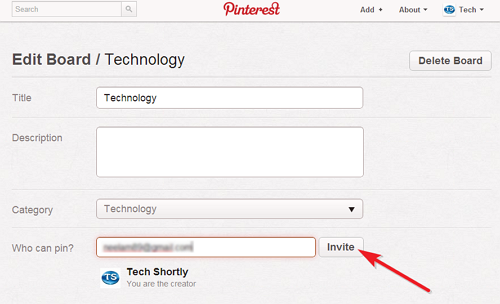 Your invitation will send to your friend, if he/she accepts your invite he can able to pin on your pinboard. 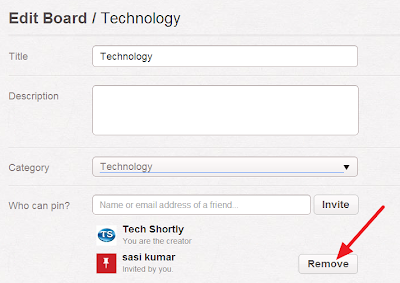 You can remove access to your friends at any timing by going Board - Edit board section. see in below image.